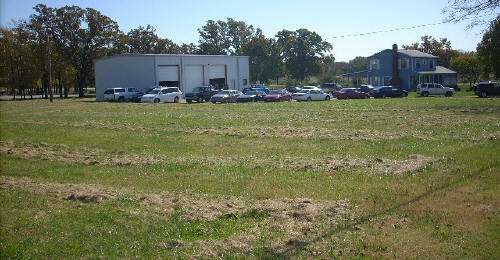 When I drove out to take a look at this project, I wasn’t exactly sure what I was going to find. When I spoke with Marlon, he gave me directions like I lived there (which I don’t), but they were good enough for me to find the place. Once I arrived, I recognized this building from the design sketches I saw when I was in his office. There was also a section of of the box ribbed metal siding they used for this project in the office and it was as interesting as promised. I was prepared to not like this building but to judge a thing without understanding it isn’t entirely fair. I have worked on a lot of projects where certain master strokes were removed from our control and as a result, aspects of the project become bittersweet. If you go to the website for this religious group and read about their current situation – no worship building, limited budget, and a long list of needs – you can conclude that this project is a manifestation, or product, of their optimism, faith and budget. The day I went, it was cold, raining (and therefore cloudy…again) and the building was locked up but there were workers on site trying to spray down grass seed. I would have liked to really been able to understand more about the building and how the colored windows impacted the spaces inside. The design and final form shown in the pictures below all started with the existing 3 bay metal garage building. Still not sure if I like the final product but as a thing, there are parts that are well crafted and thought through. The scale of the building and the context of the materials can be rationally explained as things connected to this place and this time – I’m just not sure I understand it as a church. This may be harsh but it seems more a product of a predetermined style and budget not having experienced the inside. 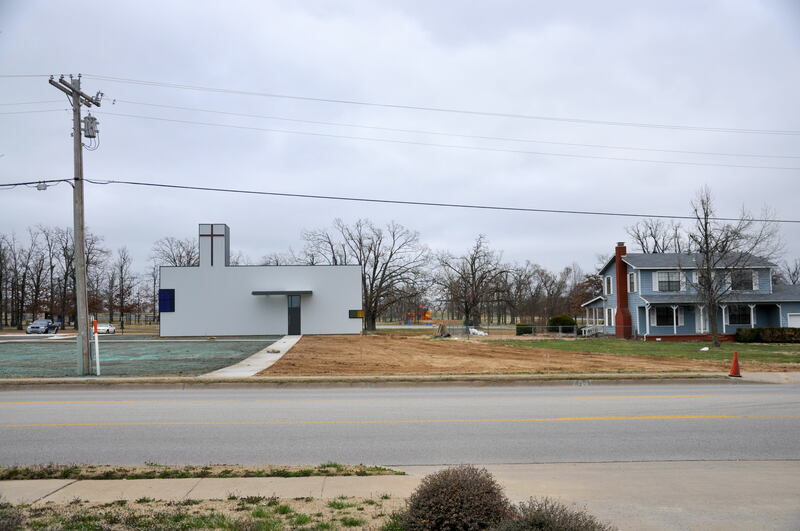 I would have enjoyed hearing how this project was described to the parishioner’s during the design phase because as an architect who likes boxy metal buildings, this is pretty far out there.